After some meaningful, if challenging, conversations, Jacob and I (Bryce) have decided to put Talking Atlas on hiatus. We apologize for this abrupt turn of events. There is no need for undue worry: Jacob and I are still the best of friends (we got lunch today, even), and we aren't ceasing to exist anytime soon (if we can help it). We recently realized the extent to which we were "going through the motions" creating episodes of Talking Atlas. It's an endeavor we both enjoy, in some capacities, but the times we scramble to create something seem to outnumber the times we are able to take unconditional joy in what we're making. Where do we go from here? That is difficult to say. Jacob and I still want to make content, and it is possible that that content ends up being Magic-centric, or turns into some new take on Talking Atlas. We'll be taking a few weeks to rest and consider (sometimes over lunch, as it happens). Regardless of the eventual outcome, we wanted to thank the small-but-by-no-means-insignificant community around Talking Atlas. We and this podcast have grown in tandem over the past 2.5 years, and it's incredible to think that there are people who voluntarily put our voices into their heads for our thoughts on Magic. PS: For one (maybe last) hurrah, we'll be publishing the lengthy outtakes from 2018, as well as ensuring that our previous outtakes are accessible on Opal Nebula. Stay Tuned™. In the spirit of Baron Von Count, Jacob and Bryce share a moment of wholesome, insane, evil laughter. To support Talking Atlas and all of Opal Nebula's content, please consider finding us on Patreon. Welcome to Opal Nebula's newest semi-un-regular segment! When we come across a choice bit of audio that we enjoy, we'll toss it up here on the Opal Nebula blog so that you can enjoy it too! In this Featured Clip, Bryce monologues about gender and sexism in the Magic community, and why she is glad that Spike was printed as a girl. Want to share your thoughts? Let Bryce know on Twitter! A happy post-Halloween to those who celebrate it, and a happy conclusion-of-Oktopalfest (sort of) to all of us at Opal Nebula. In the coming weeks, we'll be evaluating our Oktopalfest content and determining what worked, what didn't, and what we'd like to pick up full-time. In parallel with this, we are announcing the end of Talking Atlas' Chaff Chitters, the mini Chaff Chat episodes released each Wednesday. Fear not, Magic lovers: Chaff Chats will continue to cycle through the Talking Atlas roster of content... and it's possible that we'll be making additional regular Magic content. Stay tuned! Oktopalfest marches on! Announcing: The Shame List, a stream about all those games we meant to play. Y'know what I mean. Remember that game you got on Steam sale that's still languishing in your library three years later? Or that Humble Bundle you were super stoked about, but has sat gathering dust in your program files? Join Bryce Miller and Rob Stewart as they chew through their own Shame Lists, starting with Shovel Knight! The Shame List begins today (Wednesday, October 4th) at 7:30 EST, with successive episodes each Wednesday in October from 7:00-9:00 EST. To watch The Shame List, point your eye-holes to our Twitch account! 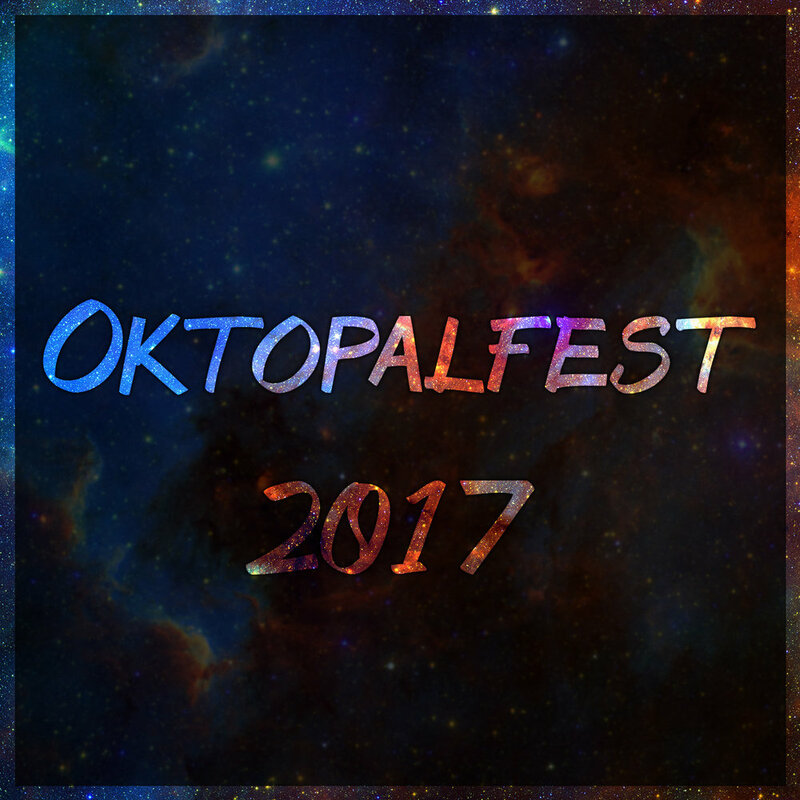 As with our other Oktopalfest content, if you enjoy The Shame List, let us know! This month is about making cool things and finding what among them people like. With your communication and support through our Facebook, Twitter, and Patreon, we can keep doing these things! We would like to take this moment to thank you (yes, you! ), our lovely viewers, for supporting us through 100 episodes of Talking Atlas. Jacob and I have all kinds of fun things in mind, not the least of which is another 100 episodes of Talking Atlas to come! Schatz Fired is switching from a Monday-to-Friday schedule (many episodes, but an exhausted Schatz) to a Tuesday, Thursday, and Saturday schedule (plenty of episodes and I'm alive to do them). This will give me more time to plot the episodes and can also better facilitate guest episodes in the future. News posts won't be posted every single day. The Dept. of Redundancy Department found us wanting, lacking, and needing, so Twitter posts will be made directly from the Schatz Fired page. If stuff like schedule changes (see above) happen, those will be announced on the News page. Jacob talks about Mikey Neumann's film show again because he talked about Batman in a way that made Jacob feel something about Batman for the first time in a long time. Overwatch also makes a comeback for the holidays. An MGMT starter and a Wilco classic, folks! Twenty-Seven and Jacob get some real emotions out of these two, one way or another. Get your reviews while they're hot. Midnight, the cat, performs an act of precise cruelty. Jacob reminisces about a high-energy album and waxes poetic about birds on fire. This is the most normal episode yet, ironically. Jacob opens up about a nerd rock band that he has embraced enjoying and a party game stream by those good folks at Jackbox. Jacob brings you in real close to talk about The Problems With Comics (by Colin Spacetwinks) and a collection of free story games that are likely to be unleashed on his friends and loved ones. Jacob finishes up a series of Wrathful Art and gushes about a favorite video game for a spell. Also, a super awesome literary resource of transgender authors and readers. Take a listen. Album Club 500 Episode 003! This week Jacob and Twenty-Seven discuss the fail-state for the show as well as two pleasant slices of Americana that might well be Mirrorverse twins of each other. Come along with us and give it up for Boz Scaggs and Bonnie Raitt! Today's Album Club will be up after I go demonstrate my knowledge of Java. In the meantime, have this adorable fun-size Schatz Fired! Jacob digs deep into the past to recall a wretched sandwich and a blissful album. A roller coaster of emotions, this one. A quick note to let you know that Album Club 500 is updating on Wednesdays now. With that, I give you today's Schatz Fired. This marks two weeks of Schatz Fired, and Jacob is excited about the new site and some terrific Magic Card Art.